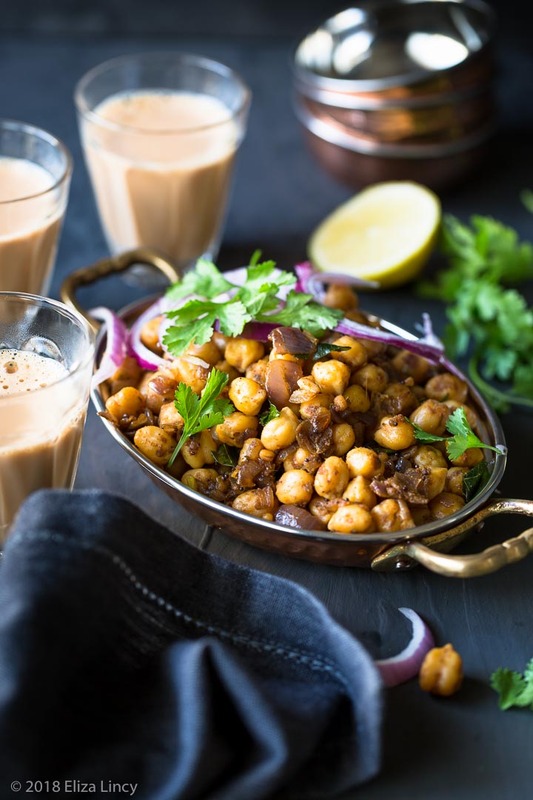 Chana Masala Sundal Recipe - Aren't people looking for healthy diet options nowadays which is not junk? During winter we do feel extra hungry especially in the evenings. We'd be thrilled if there was something to eat with a hot cup of tea, something spicy and tasty on these days. 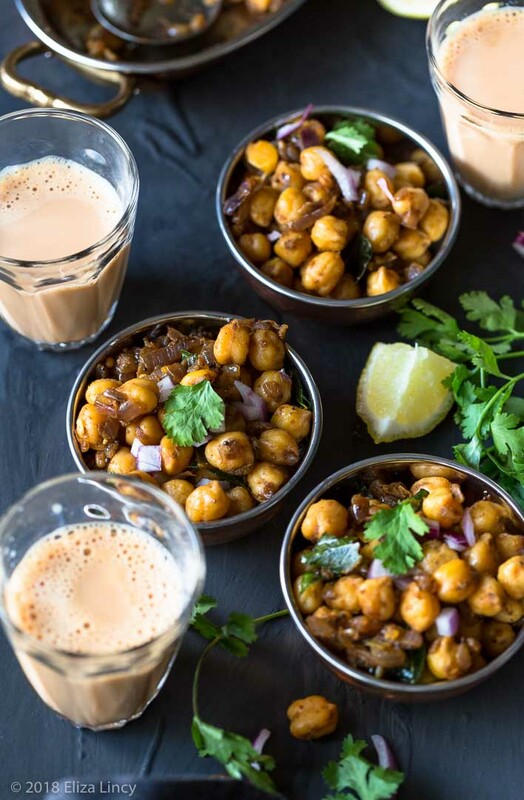 I am here to share with you a super healthy, tasty and a tad spicy evening snack which is prepared by a lovely friend Hema Balaji. Couple of weeks back we went on a mountaineering trip and she brought us this sundal. The sundal tasted awesome and I liked it a lot. This week I had planned sundal and ended up making her version of the recipe. Even though it was a bit late I did manage to click couple of pictures for posting the recipe. This is an absolute teatime snack as well as picnic food. I tried it as an accompaniment with chapatis as well it tasted really apt. Hope you all love this recipe as I loved it. Here I wish to thank Hema Balaji her for allowing me to share her recipe. Wishing all my readers a year full of happy moments & memories!!! Wishing you all good luck, good health and good cheer in this New year 2018! 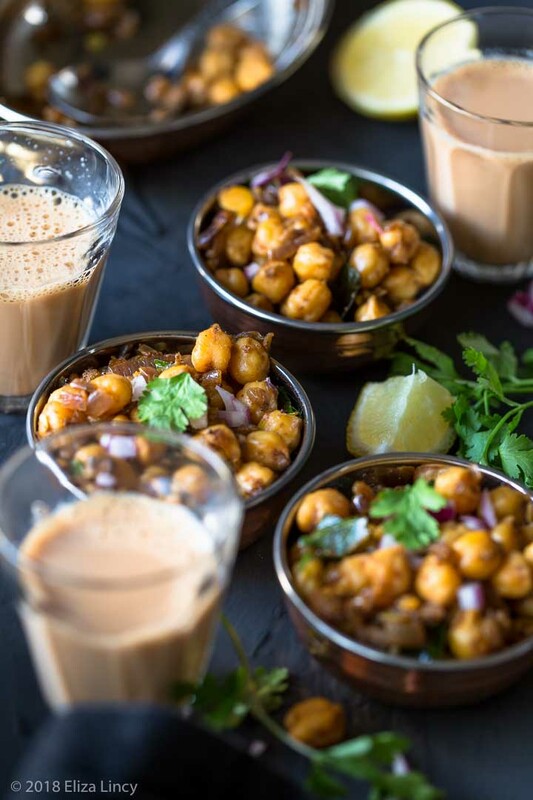 Soak the dried chana in water over night or a minimum of 6 hours. Pressure cook with salt for 3 whistles. Then drain the water and set aside. Heat oil in a pan and splutter mustard seeds; add urad dal and fry till golden colour. Now add the onion with curry leaves; cook till translucent with a pinch of salt. Now add the ginger garlic paste and saute till the raw smell leaves. Add the masala powders; turmeric, chilli powder, pepper powder, coriander powder with garam masala powder. Mix well and cook for a second. Now add the cooked chana with enough salt to taste and mix well. 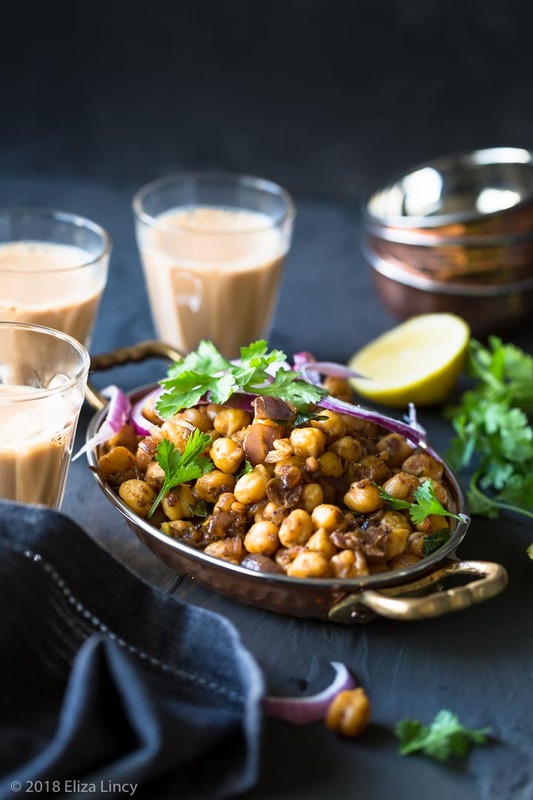 Cook for few minutes without adding any water till the masala slightly coats over the chana. Garnish with freshly chopped onion and coriander leaves.